Hmm ..I've missed a lot of days, and today I'm posting DDOBs with a vengeance. 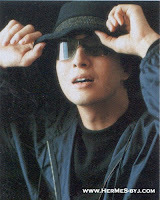 Hats and dark glasses are becoming [ if not already ] BYJ's trade mark. He could be seen wearing them every time...specially if he is relaxing and doing something outside his work schedule. But we Baefamily enjoy seeing him in any attire. Hmm...what do you think?? Do you like to see BYJ with or with out a hat ?? I thought so !! 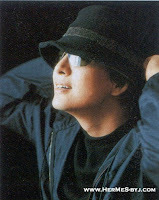 Oh, it's a bit quiet in the Baefront, hope Yong Joon nim is doing great. Oh dear! I think I just OD'd on YJ pics LOL !